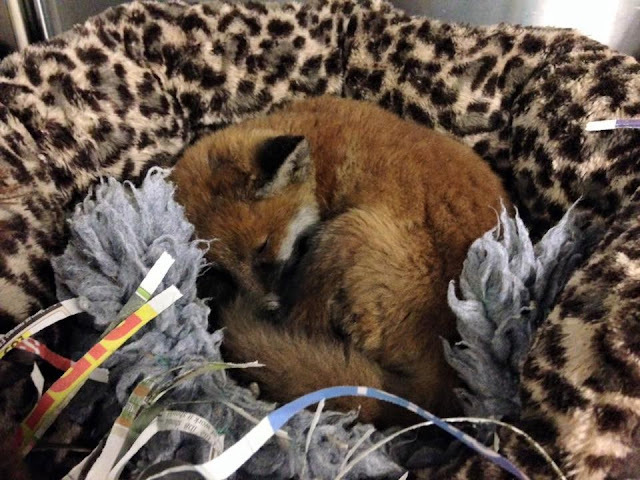 This lifeless fox cub was found lying near a factory in Oldham, England. The workers tried to stir her but she wouldn’t move, so they called Paul McDonald, a local fox specialist, for help. “Upon picking her up and seeing the condition she was in, I didn’t think she was going to survive,” McDonald told . However, the man didn’t want to give up on the cub, so he took her to a vet that he trusted. 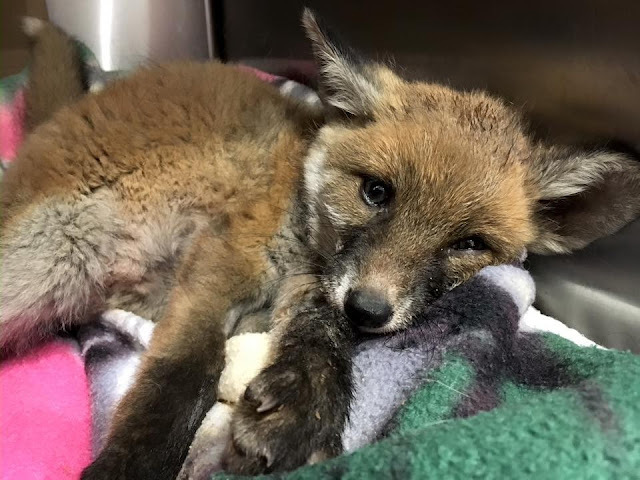 Though the fox, named Red, didn’t have any visible injuries, she “had to be fed using a syringe as the poor girl couldn’t even hold her head up properly to eat,” McDonald explained. After a few days of extensive care at the vet, Red was brought back to McDonald and he continued to look after her. “One day when I went in to the unit to clean her cage she was standing upright which brought a tear to my eye as despite the improvement she was showing, there was always a bit of doubt in my mind as to whether she would ever walk again. Today, she is a very agile little lady and loves running around the unit with her pal Bruno, another orphaned fox cub.” The two cubs will be returned to the wild as soon as they’ve made a full recovery. 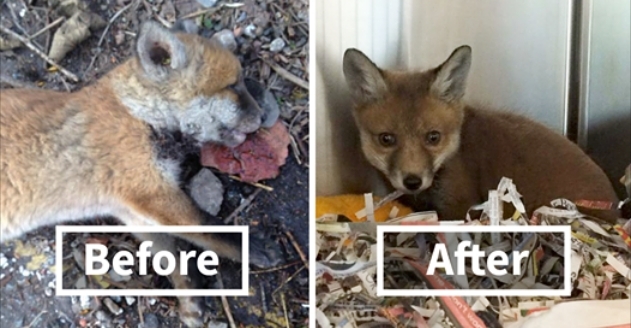 Responses to "“Dead” Baby Fox Is Brought Back To Life By A Loving Man"
it would break my heart to let them go as some moron out there wants to kill them.